November | 2012 | BSRIA Blog - Opinions and insights from BSRIA Limited. How will you invest in Soft Landings? 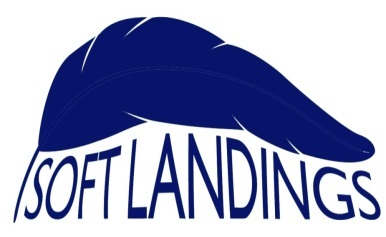 Soft Landings is an open source process designed to overcome problems after handover. It is arguably an increasingly important part of procurement philosophy. Three year periods of aftercare are regularly being considered a core element of project plans; however, with Soft Landings comes great responsibility. The question is whose responsibility is it to include Soft Landings and ensure it gets done? All clients want high performing buildings but are not always willing to pay additional costs for the aftercare process. On the other hand the building industry has a right to demand additional fees if they are taking on more responsibilities and higher risks. This standoff won’t resolve itself without some easing of tensions. As an advocate of better building handover, I believe that both clients and contractors need to change their expectations. More fundamentally, both sides of the contractual fence need to recognise that although they may share an ambition for a high-performing building, it does not become such until it is proved to be. This means troubleshooting the building and fine-tuning it way beyond resolving snags and defects. Once a client acknowledges that it wants its project to adopt Soft Landings, it needs to ensure that the methodology is expressed throughout the entire process. The client should not assume that the contractor will take responsibility for it all; BSRIA has seen a number of documents that puts the responsibility of Soft Landings completely with the contractors when it should definitely be a result of negotiations between all parties involved. A client also needs to be specific in what they expect from their consultants and sub-contractors. Therefore such a project should unquestionably be a collaborative effort with equal responsibility and realistic expectations shared by all. However, this commitment can’t come for free, which begs a question of where the costs lie, and what they amount to. It is essential that clients acknowledge that a budget needs to be set aside for Soft Landings, especially if they want a three year period of aftercare. A reasonable place to start is by feeling a nominal budget and then to discuss how it can be best invested, all projects are different but BSRIA believes that 0.1% of the total contract value is a good place to start. Then comes the hardest part, how do you distribute such a budget? The budget needs to include the three year aftercare period but also other additional Soft Landings activities required during the design and construction process, such as periodic reality-checking. It is also important for clients to note that they will have additional costs at later points if they take into consideration the need for independent building performance monitoring. So, overall, does the 0.1 per cent rule hold true? By and large it’s a good place to start. If the budget proves inadequate for the client’s ambitions, then those ambitions either need to be scaled back, or the budget increased. Undoubtedly, all parties to the aftercare process stand to gain from the lessons learned, so it is absolutely in their professional interest to meet each other halfway. If an agreement and a clear plan can be put into place early then it is entirely possible for such a project to be successful.